and unleash your creative side! Cost Effective: By eliminating the high retail markup, SainSmart is able to offer a sensible package with unrivaled quality in the entry-level space. 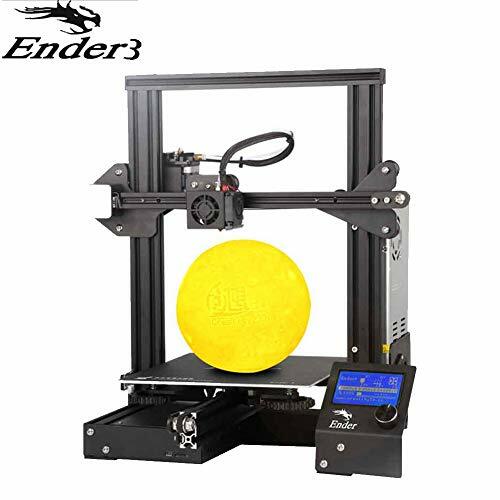 The compact design allows Ender-3 to fit in the trunk of your car or even back seat, while still providing 6x more build volume than other entry-level printers. 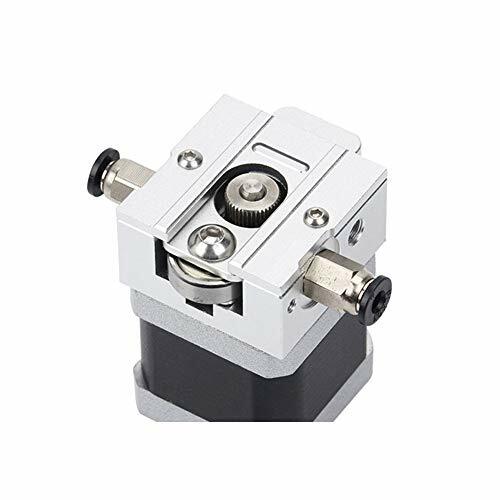 High Precision & Noiseless: The CNC-machined Y-axis mounting slot ensures highly precise positioning of the printer head. V-slot POM (polyoxymethylene) wheels allow the nozzle to glide smoothly and silently. No Clogging or Warping: Our patented extruder design greatly reduces the risk of a clogged nozzle. There’s no need for printing tape or glue due to the incorporation of a new viscous platform sticker. Fast Heating & Resume Print Feature: The heated bed can reach its operating temperature in just five minutes. The printer is shielded by its power supply from voltage spikes and power outages. If electrical power is lost, prints can be resumed from the last layer, saving time and reducing waste. 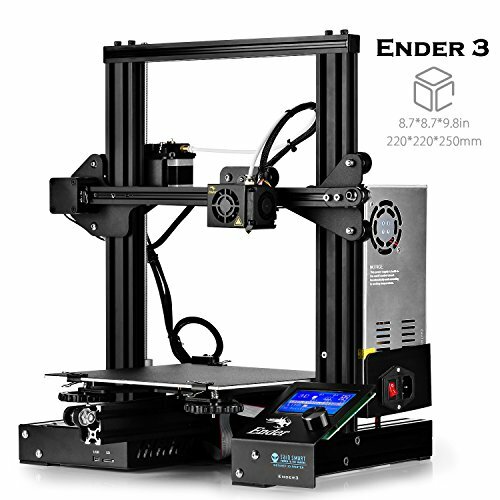 Semi-Assembled: This easy-to-setup kit comes partially assembled, allowing you to learn about the basic construction of 3D printers as you finish putting it together. A fun STEM educational experience in mechanical engineering and electronics.